In this regards, DC and RLF further made aware of some of the controversial activities being done in the name of Christian. Taking advantage of deplorable situation of country, there has been involvement of different actors with different motives. Similarly, some sects in the name of Christianity, has been acting for impulsive evangelization and triggering social discord. They are attacking on our culture and irritating public on the base of their faith. These kinds of groups are increasing with the motive of manipulating true Christianity. We should be aware of them on time. Nation has witnessed true Christian Churches and Missions are actively involving in development sectors for decades, says Pastor Tanka Subedi. Subedi has leaded issues of freedom of religion for UN level advocacy from Nepal with Pax-Romana and World Evangelical Alliance (WEA). Over a century, the Christian missions joining hands with local communities has done tremendous contributions on developing infrastructures; education, health and electricity. These missions has animated communities for their social development and cultural conservations. Dharmik Chautari is a common platform for all major and minor religions in Nepal. In context of DC/RLF conducting consultations meetings on religious freedom, recently had involved in Universal Periodic Review (UPR) at United Nations Human Rights Council in Geneva. 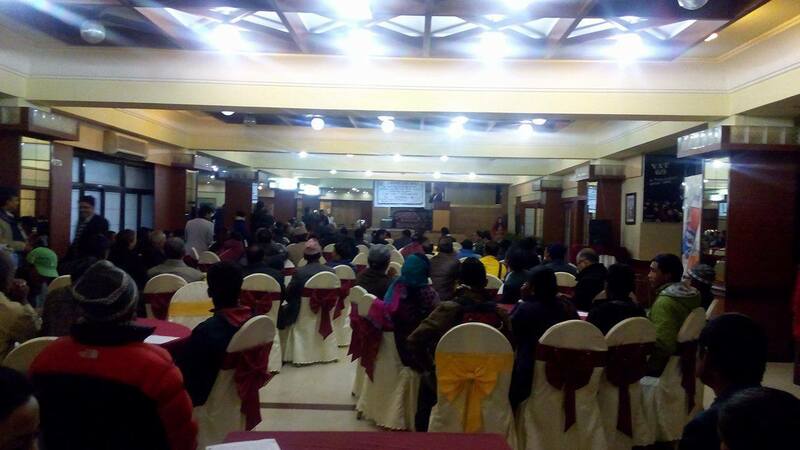 Around eighty NGOs, Civil Societies Organizations and faith based groups of Sanatan Hindu, Buddhist, Muslim, Shikh, Bahai and Christians were involved in the consultations process in different thematic issues. Based on findings of the working group on Religious Freedom or Belief, following concerns has been brought to the attention of dozens of parliamentarian presented. Apart from some of the Hindu Guthi and Trust, there are no provisions for religious institutions and associations to register legally. This has been causing difficulties on managing physical assets of religious communities. There has been various types of social and cultural complications reported where there is inter-religious marriage or members of same family having different faith. In absent of religious commission to manage such situation, there are risks of intensifying social complexities. Christian and some of the other religious minorities are facing difficulties with having burial ground. Nepal new constitution, article 4 has provided narrow and ambiguous definition of secularism and therefore, there are no guaranty of freedom of religion. A serious concern about one’s freedom of conversion need facilitation of second person such as religious priest, monk, imam or pastor. Nepalese constitution article 26, clause 3 declared legal punishment to those who facilitate the conversion process and hence strictly prohibits freedom of choice of religion as provided by first clause of the same article. “There are other more practical difficulties; if there were a religious commission to address these kind of practical issues, it would be additional advancement in new constitution. There are still hope whether there will be some amendment” – Subedi.